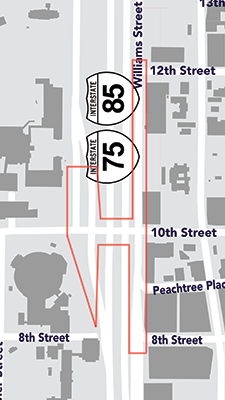 Midtown Alliance, in partnership with the City of Atlanta TSPLOST Program, is planning multi-modal enhancements for the 10th Street Bridge spanning the Downtown Connector. 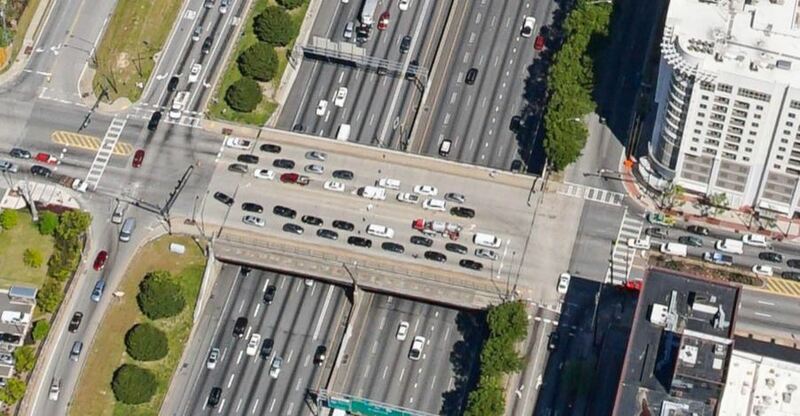 This project was identified in the Connect Atlanta Plan and refined in the Midtown Transportation Plan. Located in the heart of Midtown, 10th Street is a critical connection that serves multiple purposes - connecting drivers to and from the Interstate; MARTA passengers from the Midtown Station; Georgia Tech fans heading to McCamish Pavilion; and people on foot and bikes going to campus, to their homes, or to offices. Over 35,000 people travel the 10th Street Bridge each weekday. The project calls for multi-modal enhancements to 10th Street between Techwood Drive on the west side of the bridge and Williams Street on the east side, as well as improvements on the southbound Techwood Drive ramps and northbound Williams Street. A public meeting was held on November 28, 2017 to gather community input and suggestions for the 10th Street Bridge and how it can be improved for all users. By clicking the project map below, you can view the public comments that we received online. For detailed responses to submitted comments and questions, please reference this document. Project Scoping will continue throughout 2018 and 2019. The project team will collect and analyze community input and then develop design recommendations for the project. Upon completion of Scoping and Environmental work, the design team, led by Kimley-Horn, will compile the project Concept Report for submission to and approval by GDOT. The Design and Engineering phase is expected to begin in late-2019. Please stay tuned for project updates! If you have general comments or questions, please contact: Transportation@midtownatl.com. For additional information on the City of Atlanta’s Renew Bond/TSPLOST program and projects, please visit their website or click the graphic below.